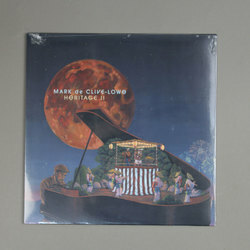 Mark De Clive-Lowe - Heritage II. Vinyl LP. Bleep. Veteran Mark De Clive-Lowe returns to his roots with his new Heritage LPs. Half-Japanese by birth, both Heritage and Heritage II find De Clive-Lowe exploring this side of his family tree in sound. Using his chops on the keys to anchor Heritage II, De Clive-Lowe creates a set of sweeping and cinematic tracks that have the melodies, styles and timbres of Japan in their DNA. It’s not dissimilar to the work of nu-school jazz upstarts like Ezra Collective and Moses Boyd.